Why does the prospect of meeting new people frighten me? Why do I blurt out things without thinking about the consequences? Why do I get "kutob" about certain things? Why do I see the forest instead of the trees? 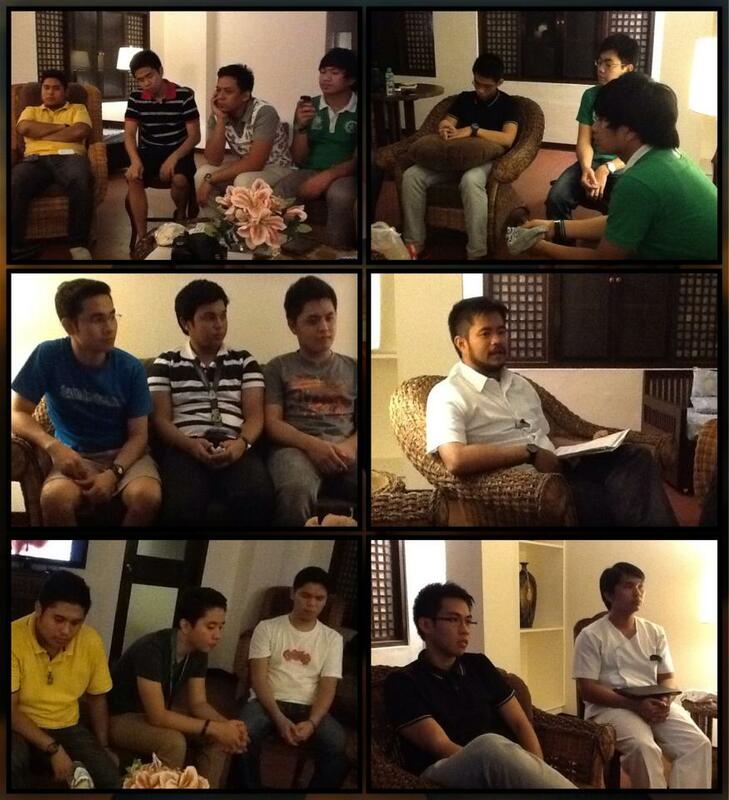 What was interesting was that all the Residencia Aspirants, including Br. Sockie, are Fs (Feeling Type), who look at people first over logic and consistency. The group quipped: "We desire mercy, not sacrifice." The Formation Sessions of the Residencia Aspirants are held every Semester with different facilitators as part of the personal growth aspect of the Aspirants. HABEMUS! On the 8th of May, Brs. Butch Alcudia, Joseph Azrael Daluz, Toby dela Cruz and Dan Sanding FSC, arrived in Bacolod City fresh from their 30-day silent retreat in Cebu. They will be in Bacolod for one school year teaching in St. Joseph School-La Salle (SJS-LS) and study at the University of St. La Salle. Of the four brothers, Br. Toby is no longer a stranger to Bacolod having been here during the first quarter of the year during his school exposure, also at SJS-LS. Accompanying them were Br. Rey Mejias FSC, their director at the House of Studies in DLSU, and Br. Timothy FSC of Myanmar. Br. Rey or Br. Cocoy, for some who know him, ensured the safe delivery of the “precious package” to Bacolod. The following day was devoted to their presentation of their synthesis of what they have learned throughout their formation as Post-Novices. On their free days, they went to the Balay Negrense and the San Diego Pro-Cathedral in the city of Silay, tried out famous local delicacies at El Ideal and visited the recently opened mall, The District North Point. Joining them in the Brothers Community is its new Director, Br. Bong Servando FSC. Which means Bacolod City will now have eight Brothers! Finally, after a long period of lacking young Brothers, the Bacolod Lasallian community will get not just one, but four. Their presence will also mean a lot of exciting things to hope for, especially on vocation promotion and formation. Brothers, mabubusog kayo sa pagmamahal ng mga tao dito at ng kulturang puno ng pagkain ng Bacolod. READY. SET. GO. Live Jesus in our Hearts — FOREVER!